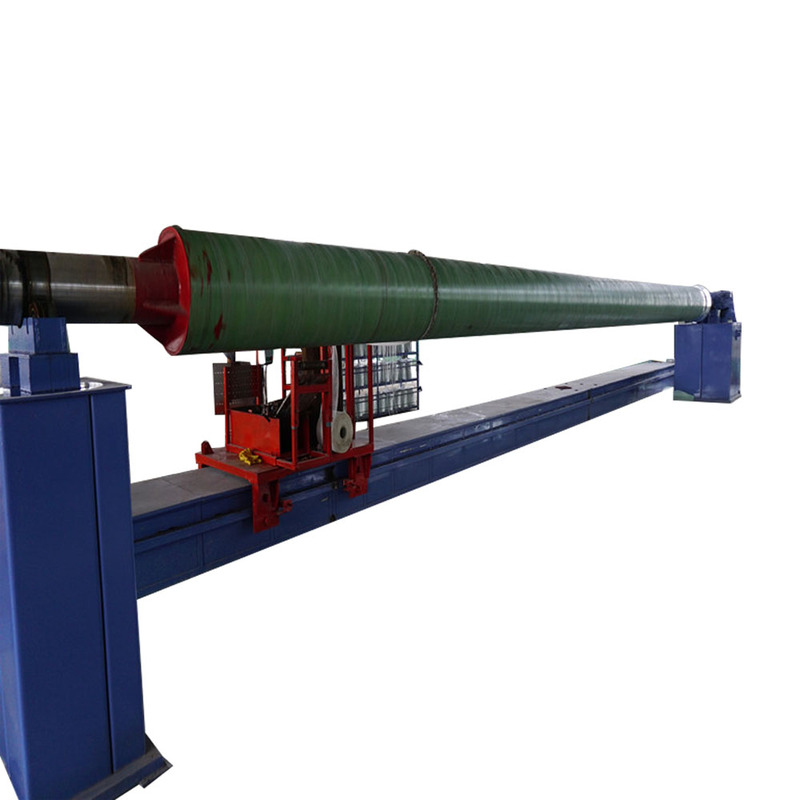 Computer-controlled fiber winding sand pipe production line consists of the lining machine, computer-controlled sand winding machine, curing station, dressing machine, stripping machine and resin mixing station six parts. The computer-controlled sand-winding machine control center used the advanced industrial computer manufactured in Taiwan, China, just enter the parameters of the wound product, the computer can automatically complete the design of product winding wire, and then control the speed of the mold and the car to walk compound movement. Sand winding is not affected in ordinary glass pipe anti-seepage layer and winding reinforcement layer case, through the application of quartz sand and resin play that is to reduce costs and increase the role of stiffness. Produced products compared with ordinary glass fiber reinforced plastic pipe, the cost can be reduced by 40%, a substantial increase in rigidity, with light weight, corrosion resistance, internal resistance coefficient is small, low overall cost advantages, can be widely used in urban water supply and drainage, agriculture Irrigation, petrochemicals, marine development, sewage treatment and other fields, the entire production line with an annual output of up to 5000t. The production line with a reasonable structure, innovative design, easy operation, high degree of automation features, praised by the majority of users. It is set up with Taida PLC numerical control device. The winding film, mat and girding fabric can be controlled automatically by the tension bracket device which makes the lap joint is smooth and precise, so the artificial nonuniformity and waste phenomenon will be prevented. The sand-adding method includes many modes: intermediate, bottom, dry, wet and dry-wet method. By being set up with automatic glue-supplying pumping station and mixer, ratio of sand inclusion is fully automatic and well-distributed, so the operation of the equipment is pretty convenient and accurately, low energy-consuming. Include open style and closed style. It’s allocated with infrared heating system and the mould revolves automatically. It adopts hydraulic transmission and the movement is stable. The flexible distance of claw is long and the applying scope of diameter is wide. It saves the usage of mould-extracing loop so the operation is easier. Hebei Shangrun Environmental Technology Co., Ltd.is professional in manufacturing and exporting FRP machine and FRP products. 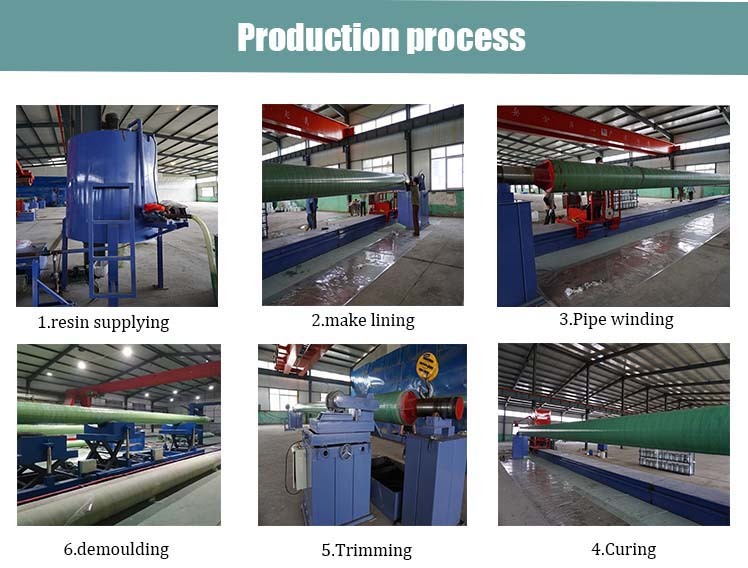 Our machine includes FRP pipe winding machine, FRP tank winding machine, FRP pultrusion machine, FRP grating machine, FRP sheet machine, FRP rebar machine and so on. 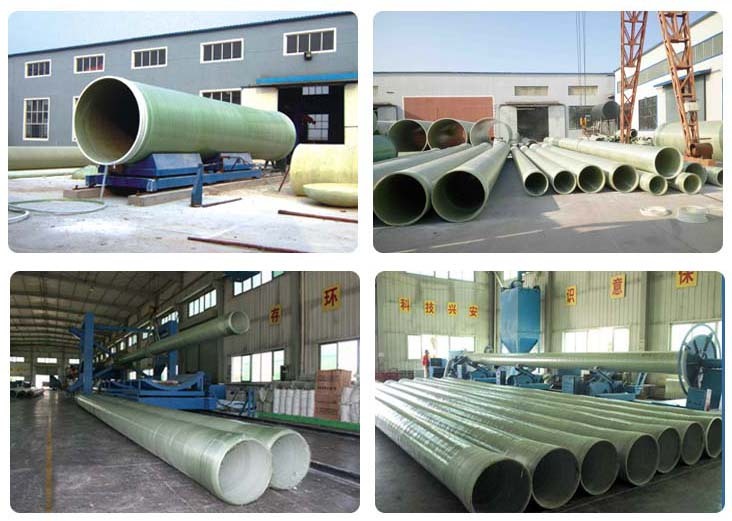 Our FRP products include FRP pipe, FRP pressure water tank, FRP septic tank, FRP scrubber, FRP membrane housing, FRP grating, FRP cable tray, FRP manhole, FRP roofing sheet, FRP cooling tower, FRP SMC water tank, FRP fan, FRP pultrusion profile and so on. Our tenets are Quality first, Customer first, Best service. Satisfying each customer's different demands is our goal.